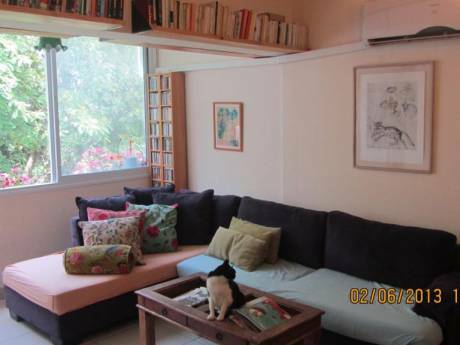 Our home is a 120m apartment which is both beautiful and convenient. 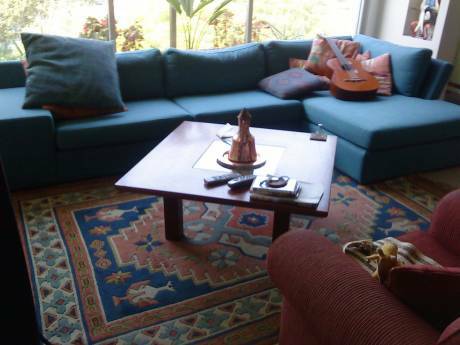 We have a large living room with a great balcony, 3 large bedrooms, kitchen and bathroom. We are a family of 5. I am a doctor that works in research. My husband is an animator. We have 3 children 18, 14 and 5 years of age (only 2 traveling with us). We love to travel. We love exotic places (but our little one is too young for that) and big cities. We promise to take care of your house as we are sure you will of ours. Located in the best location in Tel-Aviv. 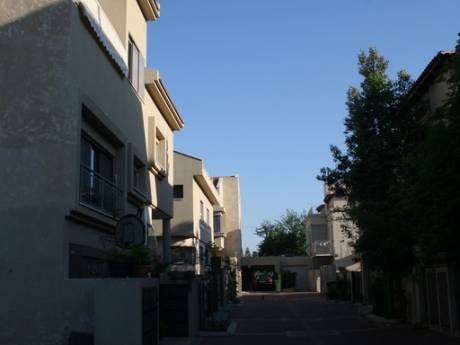 While quite and green all around, it is 3 minutes from the most active street in Tel-Aviv. Close to most elegant shops, restaurants and coffee shops. Walking distance from the sea. Notably, the neighbors are really nice.